Betsafe – Game of the Week: Twin Spin! Earn up to 250 Free / BIG Spins and win a share of €10,200! 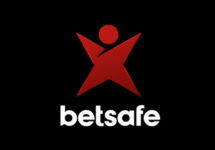 Players from Finland, Norway and Sweden, get ready for another week of superb rewards and a thrilling tournament at Betsafe. Play the immensely popular Netent classic slot Twin Spin until Sunday midnight to collect huge amounts of Free Spins and BIG Spins. Wager throughout the week on desktop or mobile to earn up to 250 Free / BIG Spins while at the same time taking part in a tournament where the TOP100 will win bonus prizes of up to €500. Leader board position is determined by the highest average earnings over any 20 consecutive spins irrespective of the bet size, making it fair to low and high rollers alike. Exclusive for players from Finland, Norway and Sweden. 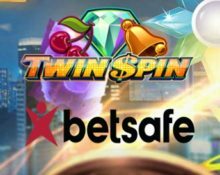 We are heading into a new episode of this fabulous two-tiered campaign at Betsafe which is running weekly from Monday to Sunday throughout April 2018. Courtesy of the “Game of the Week”, players can look forward to up to 250 Free/BIG Spins weekly and take part in a fair tournament where the winners are determined by the highest win over 20 consecutive spins, irrespective of the bet size. OPT-IN on the promotion page and play on the game of the week with minimum €0.25 per spin. Get one of the highest average earnings over any 20 consecutive spins and finish in the TOP100 for a share of €10,200 in bonus cash. This week’s tournament will end at 23:59 CET on 15th April 2018 and prizes credited the following day as bonuses with a 35x wagering requirement. Bonus terms and conditions apply.